The word Omotenashi is used to describe Japanese hospitality, but its true meaning goes far beyond. In practice, Omotenashi is to altruistically and wholeheartedly take care of guests, without expecting much in return. Japanese people take pride in anticipating their guests’ needs and paying attention to detail. Hosts provide utmost hospitality to their guests while making it seem effortless. They notice the needs of guests well ahead of time. Hosts also learn each guest’s interests and plan to entertain accordingly. Though the goal of Omotenashi is hospitality without anything in return, guests never show up to a host’s house empty-handed. It’s considered rude to visit a house without presenting a gift to your gracious hosts. 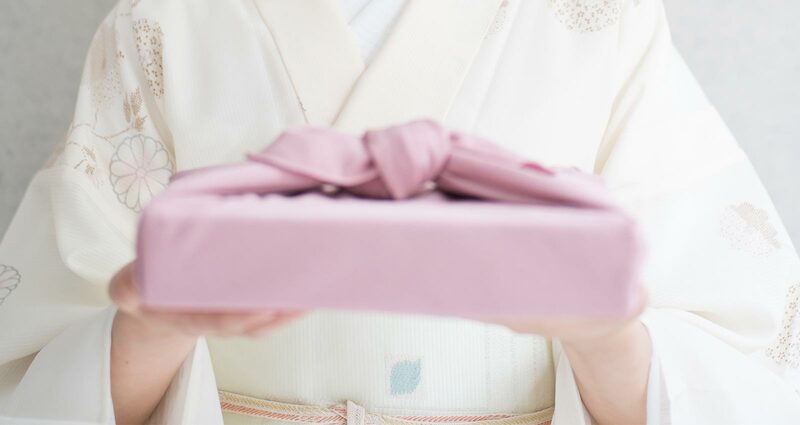 The etiquette of giving and receiving gifts is deeply rooted in Japanese tradition. The monetary value of the gift doesn’t matter as much as the presentation and the act of giving itself. People go to great lengths to adorn the packages they present their gifts in. Gifts are often wrapped in beautiful paper and embellished in silky bows. Be sure to present your gift with both hands, while saying something like: “It’s a boring thing, but...” This phrase is often used when presenting an item to a respected elder or superior. It might seem a bit odd to westerners that the giver describes their gift as “boring,” but humility and altruism are very important in Japanese culture. Recipients often feign surprise when a gift is presented to them and might even go as far as refusing it a few times. This does not mean that the recipient doesn’t want or appreciate the gift, instead, it’s their way of showing politeness. Gifts are accepted with both hands. Don’t open the gift in front of the giver. If you choose to, politely ask if you may open your gift in their presence. Upon receiving, say “thank you” wholeheartedly to show appreciation. Certain motifs, numbers and colors are to be avoided when choosing a gift. Giving white flowers of any kind is taboo, as they associated with funerals, and so is the color red. Red is used on tombstones and for funeral notices. Red cards and wrapping paper aren’t encouraged, even during Christmas.